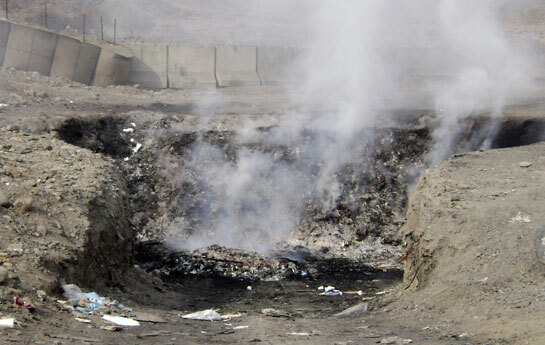 Despite the VA’s contention that evidence is lacking as to the long-term health effects to service members and veterans exposure to burn pits during active duty, its own fact sheet on burn pits notes both short-term and long-term effects to the airborne smoke causing burn pit diseases and conditions. Items disposed of in burn pits included hazardous medical waste, hydraulic fluids, lithium batteries, tires, trucks, and more. A study released in 2011 by the Institite of Medicine (IOM) of the National Academies found that between 100 and 200 tons of waste was disposed of each day just at Joint Base Balad in Iraq. IOM measured polychlorinated dibenzo-p-dioxins and dibenzo-p-furans (PCDDs/Fs), polyaromatic hydrocarbons (PAHs), volatile organic compounds (VOCs), and course particulate matter. 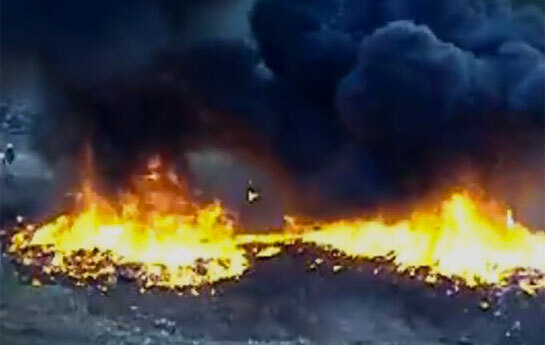 The VA fact sheet on burn pits says exposures to high levels of specific, individual chemicals that may be present in burn pit smoke have been shown to cause long-term effects, in some cases, on: skin, respiratory system, eyes, liver, kidneys, central nervous system, reproductive system, cardiovascular system, peripheral nervous system, and gastrointestinal tract. The study notes its exposure assessment was on a “chemical-by-chemical basis” and did not address cumulative or multiple exposures to chemical mixtures found at Joint Base Balad (the only site covered by the study). Additionally, recent studies have linked sulfur fires — such as the June 2003 fire at the Mishraq State Sulfur Mine Plant near Mosul, Iraq, that burned for nearly a month — to a rare pulmonary condition known as constrictive bronchiolitis in service members who were exposed to those fires. Researchers at the VA and the Department of Defense are considering these studies’ potential link to soldiers who were exposed to burn pits. Veterans and active duty service members who sign up for the VA’s Airborne Hazards and Open Burn Pit registry can document their exposure, schedule an exam, and learn about follow-up care.